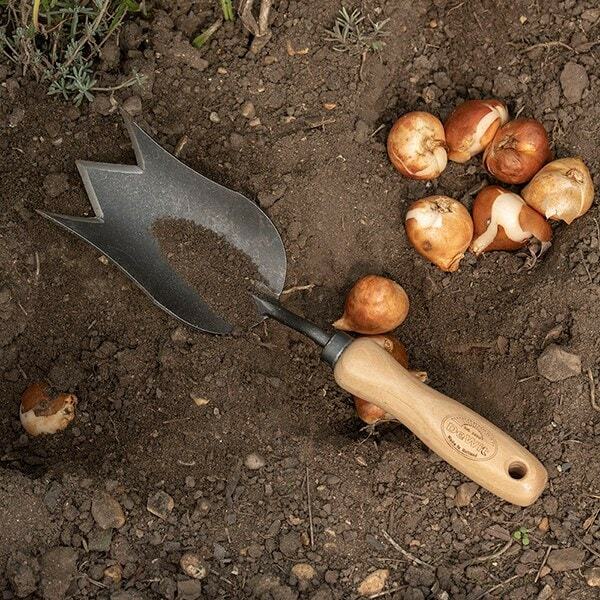 Buy De Wit tulip trowel: <ul><strong><li>Breaks up like a fork, holds soil like a trowel</li><li>Hand forged carbon steel and solid ash</li><li>Lifetime guarantee</li></strong></ul><br>The best seller at Chelsea Flower Show in 2011, this clever De Wit tulip trowel makes light work of planting in heavy clay soils.<br><br>Fittingly shaped like the iconic Dutch flower, the trowel displays the best of Dutch toolmaking expertise.<br><br>The zigzag “crown” end gives the trowel an extended cutting edge, which is bevelled for extra sharpness to slide easily through soil and roots. 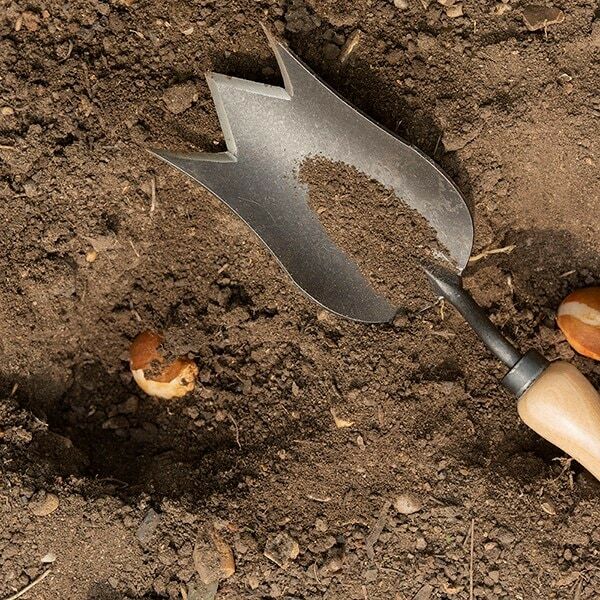 The curved blade is perfect for digging and scooping to create round planting holes. <br><br>Like all De Wit tools, the trowel is forged from robust carbon steel and fitted with a solid ash ergonomic handle for comfortable use.<br><br>Measurements:<br>Head 14cm x 8cm<br>Total length 31.5cm<br><br><strong>About De Wit tools</strong><br><br>The Dutch are renowned for making the world’s finest garden tools, and De Wit is the most respected name of all. Founded in 1898, the family-owned toolmaker combines old-fashioned quality and craftsmanship with innovative design to create superior tools that last a lifetime.<br><br> Every tool is hand-forged in the Netherlands from tough boron steel - shaped, sharpened and burnished for durability, giving it the same blackened patina as traditional Edwardian tools. Each is fitted with an FSC-certified solid ash handle for ultimate strength and shock resistance, oiled to provide first-class protection against the elements.<br><br>All De Wit tools come with a lifetime guarantee against manufacturing defects, making them a truly once in a lifetime purchase. Very versatile sturdy tool. 2 in 1which I see as an investment that will last me a long time. Bought 2,one for self & 1 for Christmas present. Very pleased with speed of delivery & mine is already in use. Nice quality & good to handle.Feels so much sturdier than other trowels & the edges do make a difference. Only downside is that 2 trowels were delivered in VERY large box, so packing a bit over the top? 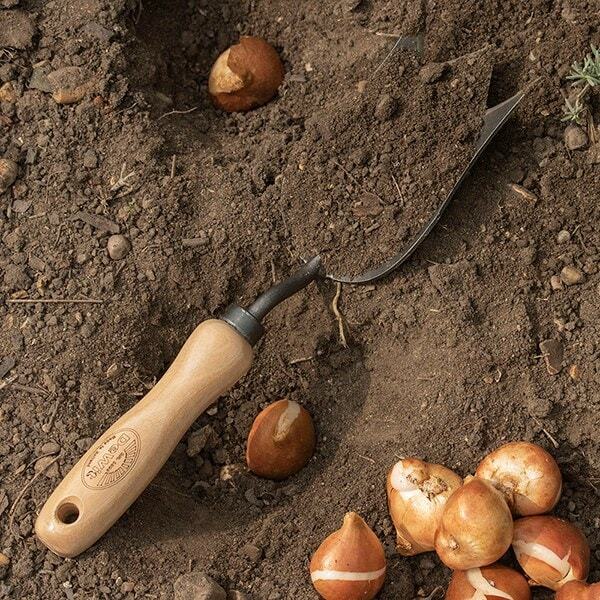 This is the best trowel I have ever used on my heavy, clay soil. Very effective.